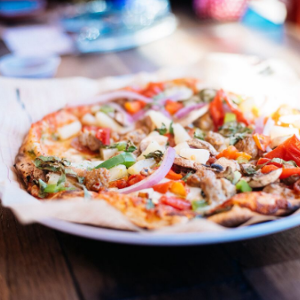 Located on St. Andrews Church Road near the intersection of Three Notch Road, MOD Califronia serves up personal-size artisan-style pizzas and salads for lunch and dinner. Customize your order from over 30 ingredients – classic to seasonal, and lots of delicious stuff in between. Come visit MOD Pizza today and see what our MOD Squad can make for you!